Yesterday (May 24), we reported that a new Windows 10 preview wouldn’t emerge this week due to some major issues. Well, it turns out Microsoft was mistaken – more on that later – and in fact a fresh build has just been released for testers to play with over the weekend. So, let’s take a look at what’s new with build 17677 for Redstone 5 (the next big update due later this year), which has just been pushed to testers on the ‘skip ahead’ program or fast ring. 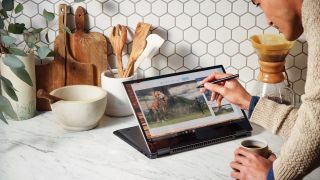 For starters, a number of improvements have been made to Edge, with the firm continually tinkering with its browser to make it a more compelling offering (while promoting the product in various ways, as we saw yesterday on the laptop battery longevity front). Edge now has a rejigged interface, with the Settings menu being better organized into groups of entries to make it easier to find whatever you need to adjust. Plus keyboard shortcuts are now clearly labelled on the menu, where appropriate. Various other tweaks have been made, including the addition of more options to the Downloads pane (for example, to be able to ‘show in folder’ after you’ve downloaded a file). Microsoft has also made it easier to organize groups of tabs that you’ve set aside in Edge, giving you the ability to rename any group to something more descriptive or memorable. And all your top websites are now listed in the Jump List, which is on the Windows taskbar (or Start Menu). Narrator, the screen reading app, has also seen some attention, specifically to Scan mode, which allows the user to navigate swiftly around the likes of web pages, apps and emails using the arrow keys and keyboard shortcuts. With this new build, Scan mode is now able to support the selection of content in Edge, Word, Outlook, Mail and more. Common selection commands work, such as pressing Ctrl+A to select everything. Finally, you may remember that a month ago Microsoft introduced a new network driver – which should make for a better, more reliable cellular connection – to build 17655 of Windows 10. In this new build, that MBB USB NetAdapter driver has been made the default driver. As ever, there are a multitude of other minor tweaks and adjustments, and you can check out the full list in Microsoft’s blog post. And coming back to what we mentioned at the outset of this story, what happened to the reported ‘rollback issues’ which were supposed to delay this build from launching this week? Head of Windows testing, Dona Sarkar, informed us in a tweet that there wasn’t actually a rollback bug at all, but in fact a deployment issue was the problem – and that was a gremlin which was apparently relatively easy to overcome.